Original Debut Moisturiser is the first level in the Original Vitamin STEP-UP SYSTEM™. It’s a light moisturising cream containing a low concentration of vitamin A which is an essential skin nutrient, as well as vitamins C and E and a combination of antioxidants that assist in combatting the harmful effects of free radicals. This moisturiser assists in nourishing skin and in improving the appearance of uneven skin tone and sun damage, leaving skin looking radiantly healthy and beautiful. 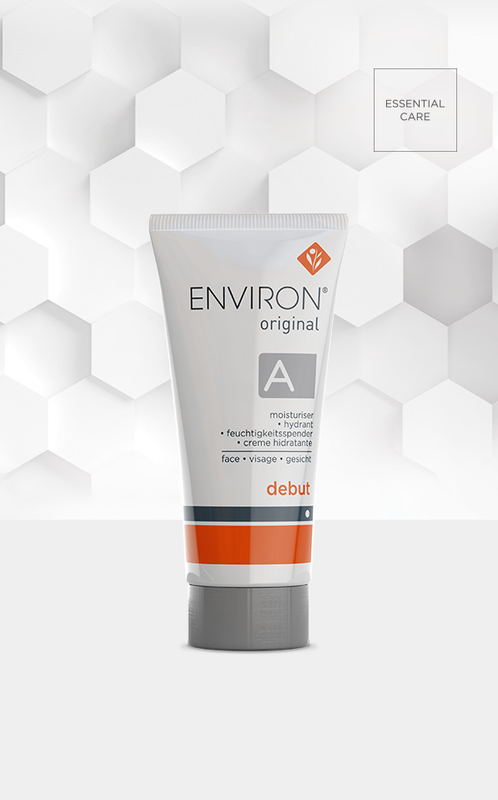 After pre-cleansing, cleansing and toning with your preferred Environ products, apply Original Debut Moisturiser to the face, neck and décolleté - use morning and evening. Use a minimum of 2 tubes before progressing to the next level of the Vitamin STEP-UP VITAMI™. Combat dry skin by applying Super Moisturiser+ over Original Debut Moisturiser 1.